Recently, Cult Beauty was calling my name loud and proud and well, lets just say a rather large order just so happened. 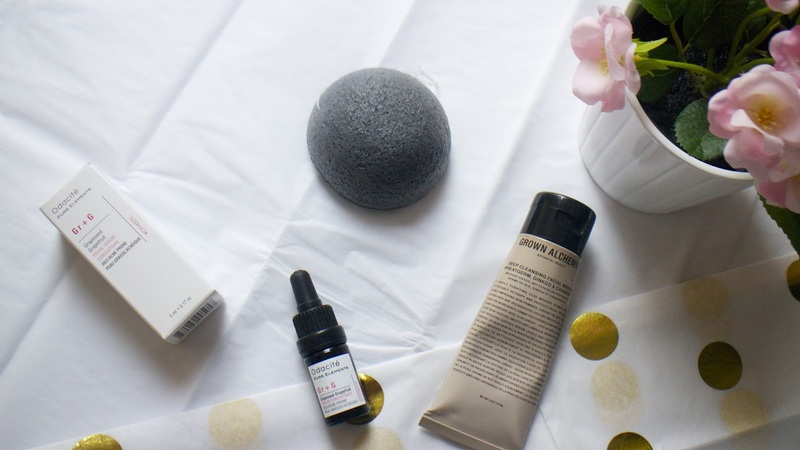 My skin has really been craving some exciting new skincare products in my life so I thought I'd do a spotlight on the products that I've stumbled upon that I think you'd like to know of too. In this blogging and vlogging world, it's easy to get swept under with the latest skincare or beauty products that everyone's raving about. We've all been there when we've given into all the hype and thought, what was all the fuss? What I've learnt is that if you really go for a good hunt, you'll actually find there are some real hidden gems out there. This dinky little bottle holds all that any oily or spot prone skin needs. It promises to dig deep into the pores and thoroughly detoxify the skin. It easily absorbs into the skin and can be used either on freshly cleansed skin or you could add a few drops into your daily moisturiser. Potentially this could be used as part of your morning skin care routine however I personally like going to bed and dousing my skin with all my oils, lotions and potions. The range also provides for all other skin types, wrinkles, hydration, spots, or if your skin is in need of a glow. I wasn't too sure on this one when I added it to my basket but having heard Kate rave about the brushes so much I thought I might as well give it a try. This is meant to help with blood flow beneath the skin which promises to give your skin a healthy glow. Simply dampen or apply a blob of your cleanser and massage this over your skin and the bamboo charcoal and konjac will guarantee healthier and clearer skin. Despite this being a clay mask, it isn't your typical mask. I won't lie, the texture if this is weird. It's quite lumpy and almost like putting porridge or a homemade oat based mask on. You do need to be generous with this due to the texture but after 15 minutes, and despite my concerns as to the effectiveness of the mask, my skin was ridiculously soft and had a wonderful healthy glow. I'm an avid lover of the Origins Active Charcoal Mask however I'd actually say that does the job just as well. Yep, I said it! Gingko helps with the 'metabolic function of the skin' (yeah, me neither, who knew skin had a metabolism?! ); the wheatgerm which is bursting with vitamins A, E and D to help with the skins elasticity (read: GLOW) and the white clay which helps with any excess oils. It almost seems too good to be true having all these ingredients promising to do so much for the skin but it just works. Massively recommended if you're after something totally new.